One of the many reasons I love books is because they can more eloquently say things that I may already think about. Books take a subject I have a brief, shallow opinion on, and expound on that topic to a degree that I could never have known it. So even if I think I understand something, I still challenge myself to read books about that something in an effort to form a more well-rounded intellect. Share via Twitter. Share via Facebook. Share via Google+. I recently read a book called “Plan B: What Do You Do When God Doesn’t Show Up the Way You Thought He Would?” by Pete Wilson. Pete is the lead pastor of Cross Point Church in Nashville, Tennessee. “Plan B” is about facing the unexpected changes in life with grace and courage. I’ve considered this principle through other books, Scripture, and conversations with other people. What I like about Pete’s writing on the matter is his inclusion of a plethora of personal stories from his life and the lives of the community around him. “When your giftedness outweighs your character, implosion is always on the horizon” (a quote from Justin Davis). 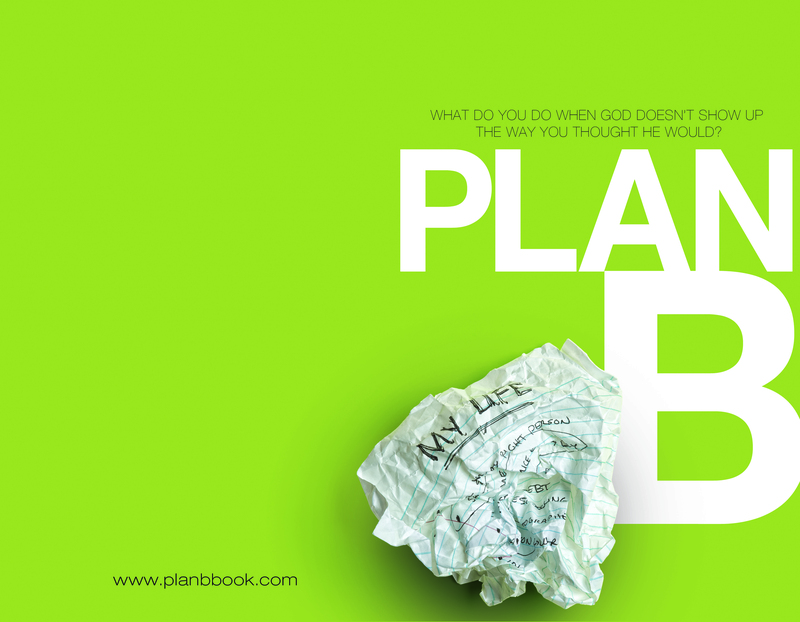 What “Plan B” have you experienced in your life? If you’ve read this book, what parts stood out to you?